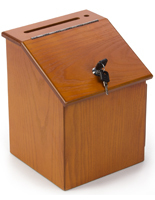 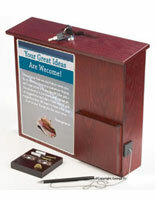 This suggestion box w/ acrylic sign holder promotes business by soliciting a customer vote, donation, or testimonial. 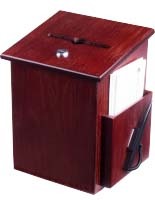 This inexpensive ballot system features a durable construction and appealing design. 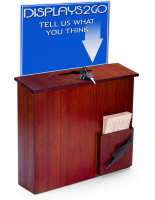 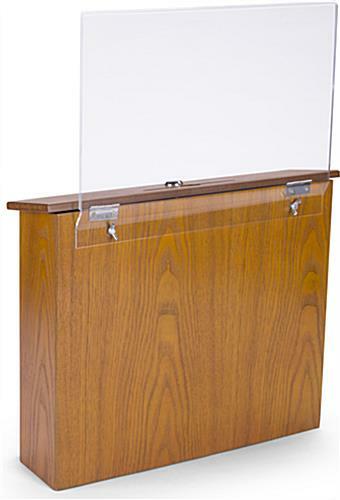 Suitable for mounting on a wall or countertop, the suggestion box w/ acrylic sign holder can be placed in a church, school, city hall, or library to encourage community involvement. 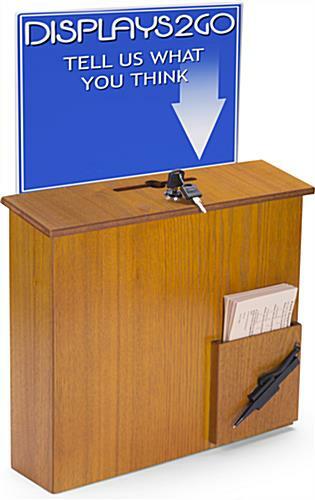 This low-profile display is shipped with easy-mounting wall hardware; and attaching the 13.25”w x 8.5”h is a one-step breeze. 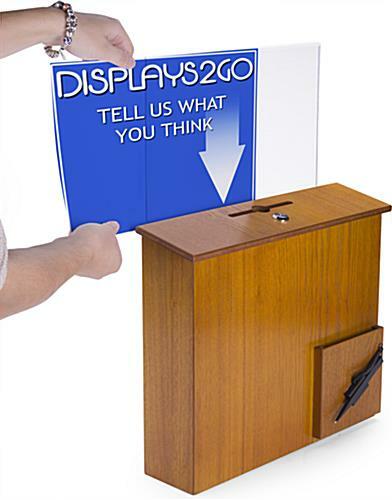 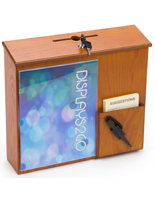 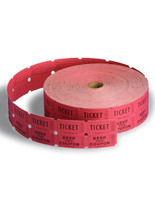 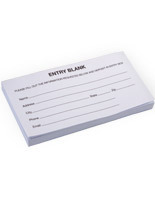 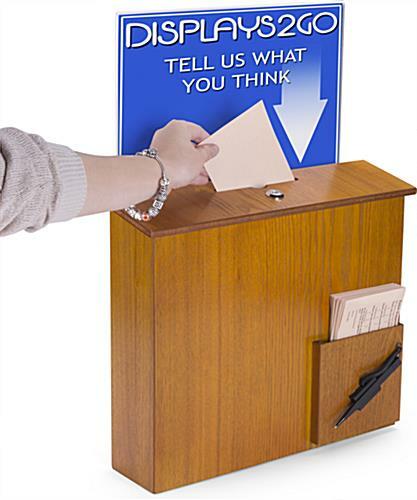 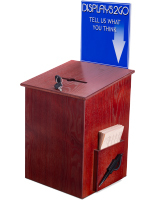 This comment display allows the customer to weigh in on goods or services by casting votes, offering a donation, or submitting a suggestion, testimonial, or business card through the 5”w x .5”d slot. 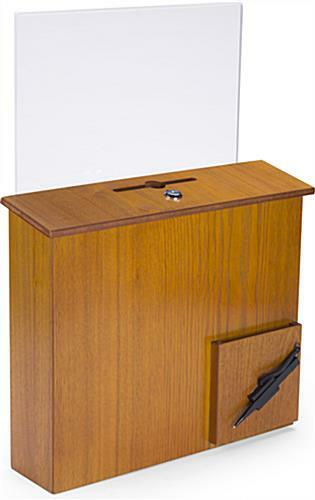 Empty the ballot or comment container by unlocking the hinged lid and learn how effective your business is, and what it might do better! 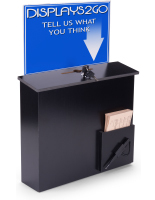 This wall fixture is also a great business card collector.